Nearly three decades ago, when I first visited El Calafate, the gateway to the Perito Moreno Glacier was a compact village of just a few thousand people with a modest selection of hotels, restaurants and other services. 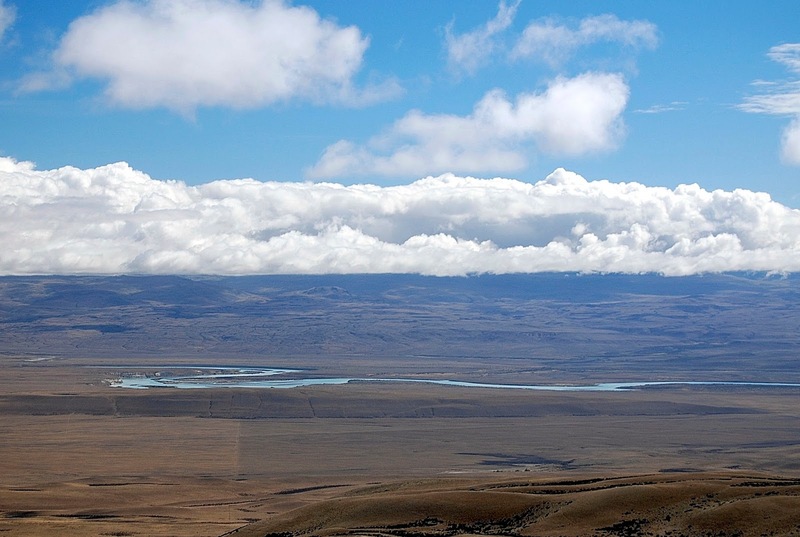 The nearest airport was in Río Gallegos, at least three hours overland. 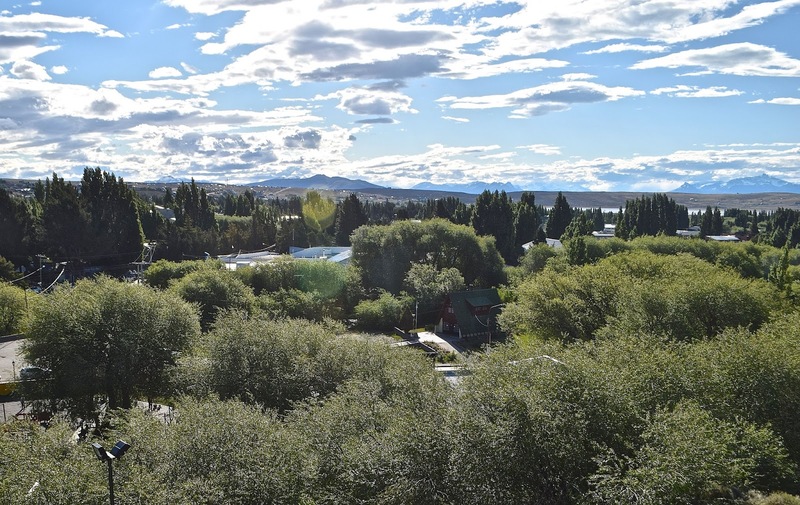 El Calafate's core is compact and even sheltered, but the town is spreading onto the steppes and along the lakeshore. The glacier’s presence, though, incentivized a tourist boom that, coupled with a new state-of-the-art airport, has resulted in a sprawling town with many new hotels, restaurants and other services—not to mention housing for an increasing number of permanent residents (one of whom is my cousin, Elisa Rodríguez, who’s a tour guide in Parque Nacional Los Glaciares and elsewhere in Patagonia). The town center is still compact, but the old hilltop airport runway is home to a new bus terminal and is gradually filling with new houses, as is the Lago Argentino lakeshore west of downtown. 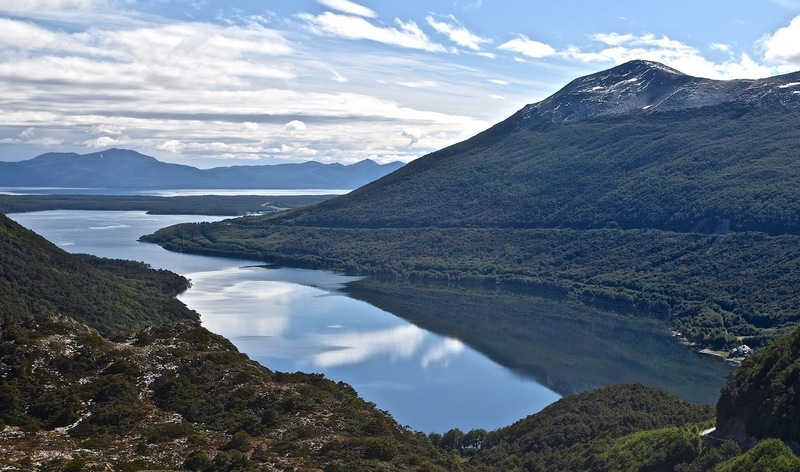 The wild Río Santa Cruz, whose source is Lago Argentino, is under threat from two large hydroelectric projects. 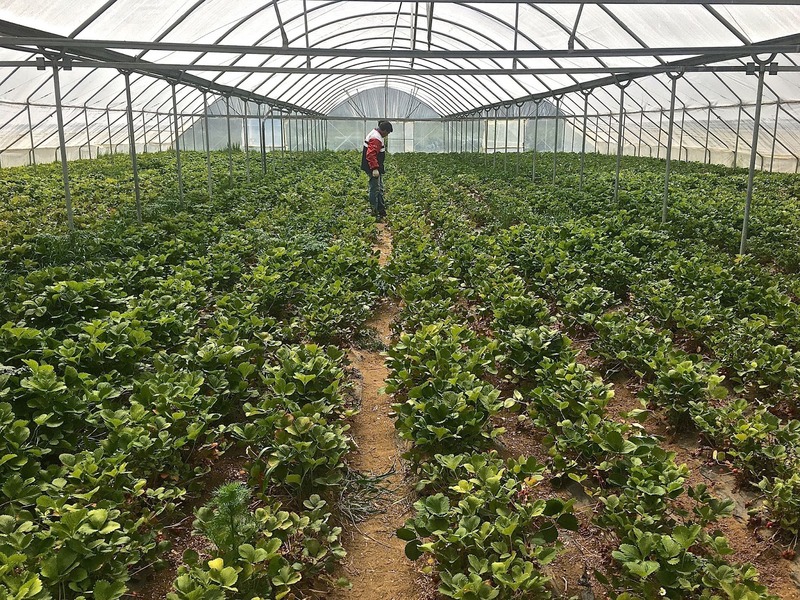 That sort of growth—the population now exceeds 20,000—requires a larger food supply, both seasonally and throughout the year, and supermarkets like La Anónima (linked to the historic Braun-Menéndez wool empire) have picked up the slack. 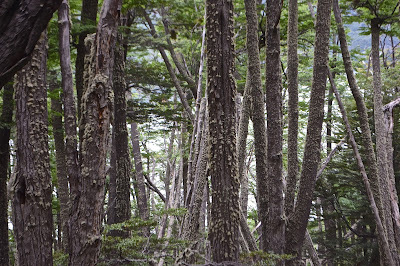 It helps that roads have improved dramatically, and that flights from Buenos Aires are frequent but, in an area where environmental issues are paramount—global warming directly affects the glaciers and two large dam projects on the free-flowing Río Santa Cruz are highly controversial—sustainable food might be included among them. 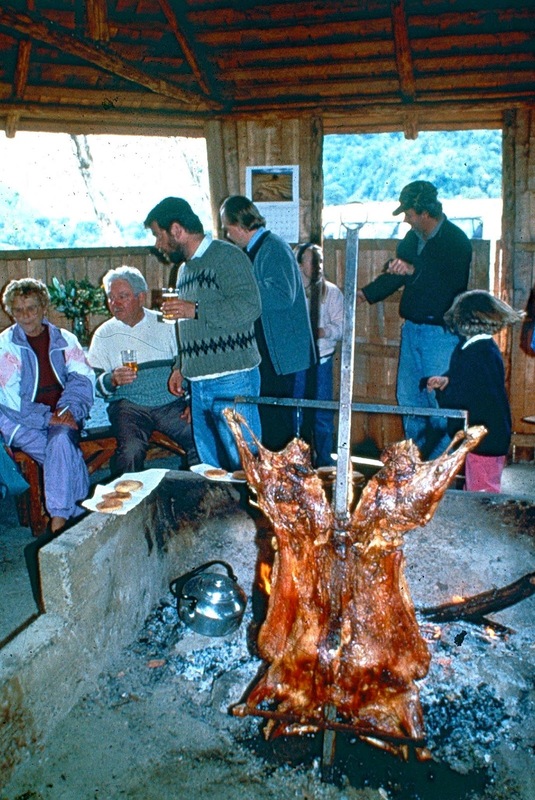 Grilled lamb, on a stake, is a stereotypical Patagonian entree. In southern Patagonia, the stereotypical diet is meat and more meat—traditionally it’s lamb, grilled on a stake over hot coals. Historically speaking, that’s a by-product of the huge sheep ranches that have occupied almost every acre of land since the “wool rush” of the 19th century. To be sure, are some cattle, but getting fresh fruit and vegetables has always been an issue here. 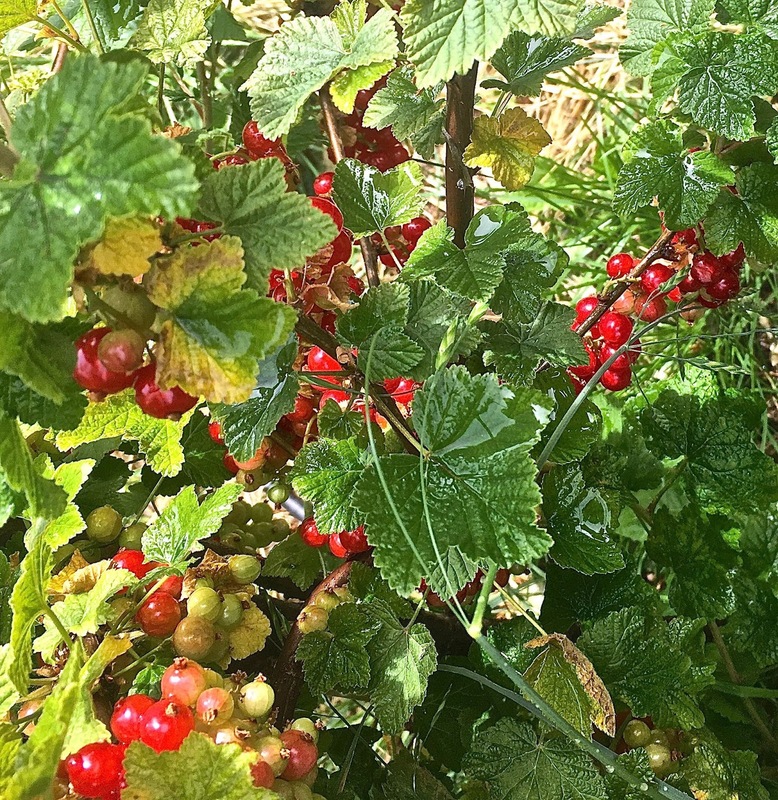 With low temperatures and short growing seasons, root crops like potatoes were viable, along with soft fruits like raspberries and gooseberries, but many items, such as grapes and even fruit trees, were restricted to limited production in conservatories. 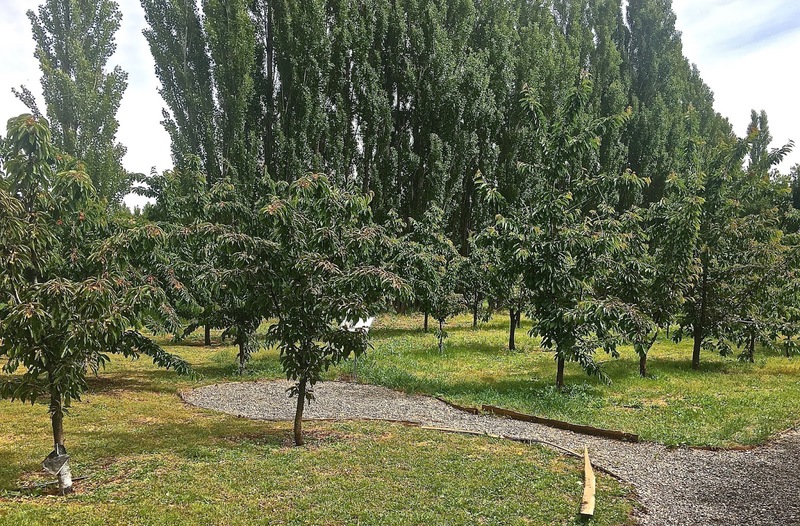 A row of poplars protects the cherry orchard from fierce Patagonian winds. 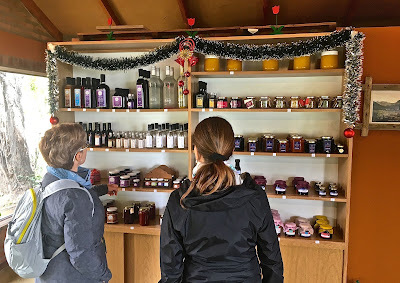 That said, on my recent visit to Calafate, I saw the largest fruit and vegetable production I’d ever seen in the region, at Chacra Las Moras, a literal garden spot where my cousin shops for much of her produce. 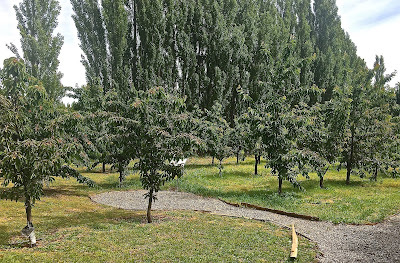 There’s an orchard of cherry trees, sheltered by poplars, similar to what I’ve seen in the more northerly “banana belt” climate of Los Antiguos (Argentina) and its cross-border sibling of Chile Chico. 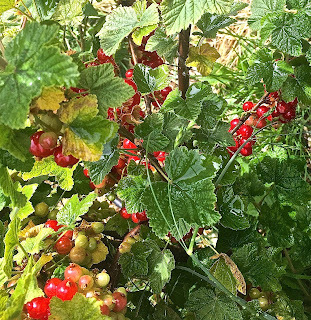 Currants do well outdoors here. 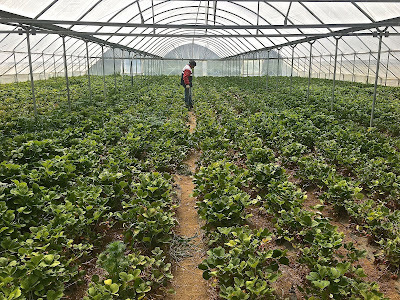 There are also currants, raspberries and blackberries outdoors, but most of the cultivation takes place within the largest poly-tunnels I’ve ever seen, where strawberries, lettuce and tomatoes thrive. 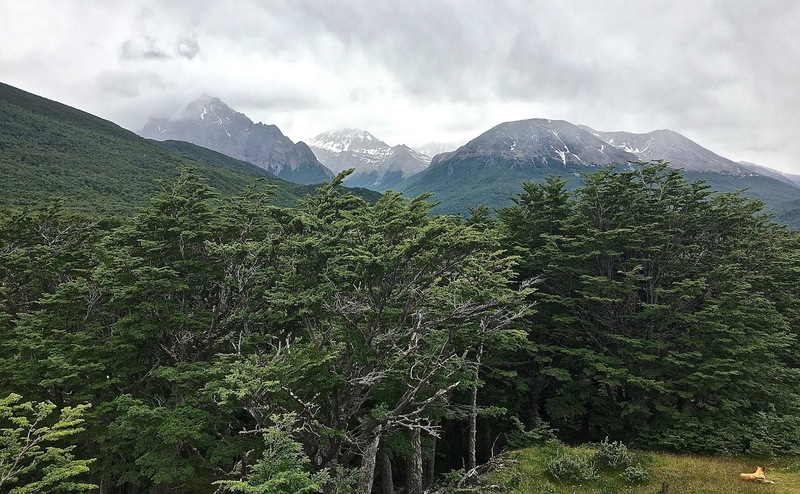 The warm temperatures inside seemed positively subtropical, but these are vulnerable structures that Patagonian gales can shred in minutes—as has apparently happened. Still, it was refreshing to see this intensive horticulture test the limits to find a niche in a town that needs what it can offer. 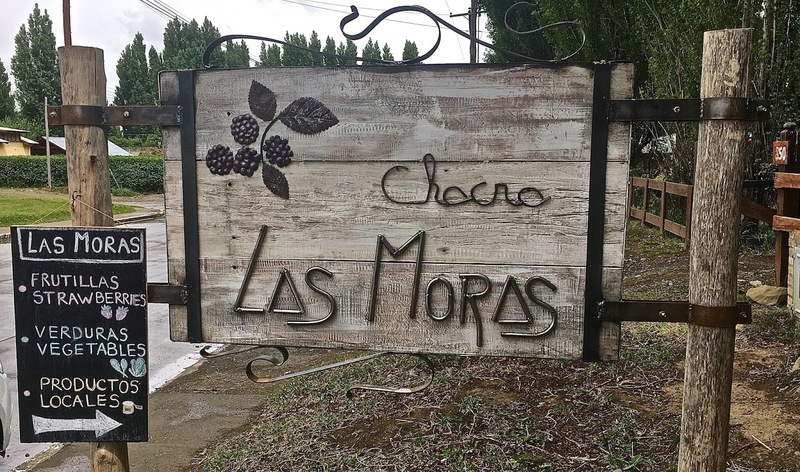 Chacra Las Moras also sells products from other nearby farms, such as calafate jam and liqueurs, and serves afternoon tea. 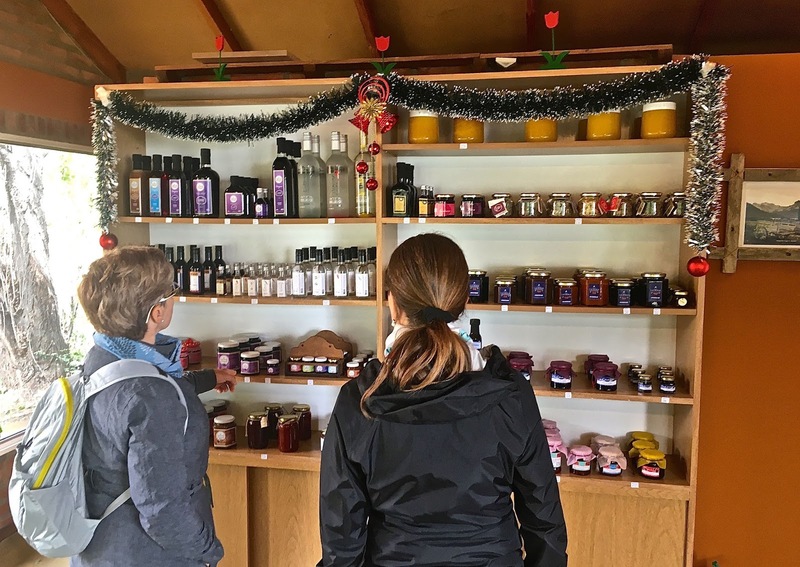 Even for those who don’t purchase anything, it’s open for self-guided tours of what can be done under such challenging conditions. 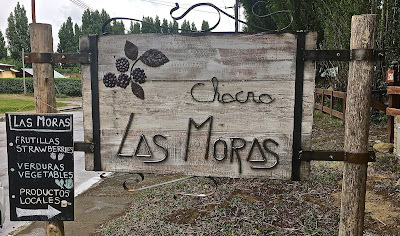 Cannabis can survive outdoors here, but not - to my knowledge, at least - at Chacra Las Moras. 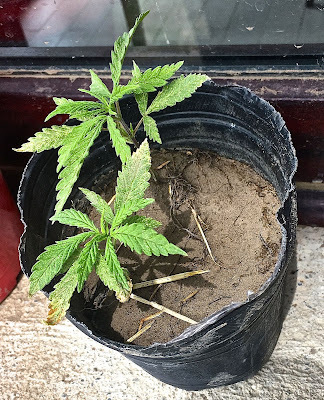 They do not, however, grow cannabis, which my nephew—soon to leave for Australia—was cultivating on the window sill of his Calafate residence. Over the past several decades, I’ve made at least ten trips to Ushuaia, often visiting the nearby Parque Nacional Tierra del Fuego for its scenic mountains, forests and seashore. I’ve walked many of its trails on day hikes but, until last Friday, the weather had never cooperated for a climb to the slopes of Cerro Guanaco, a 967-meter summit that overlooks Lago Acigami (ex-Lago Roca). 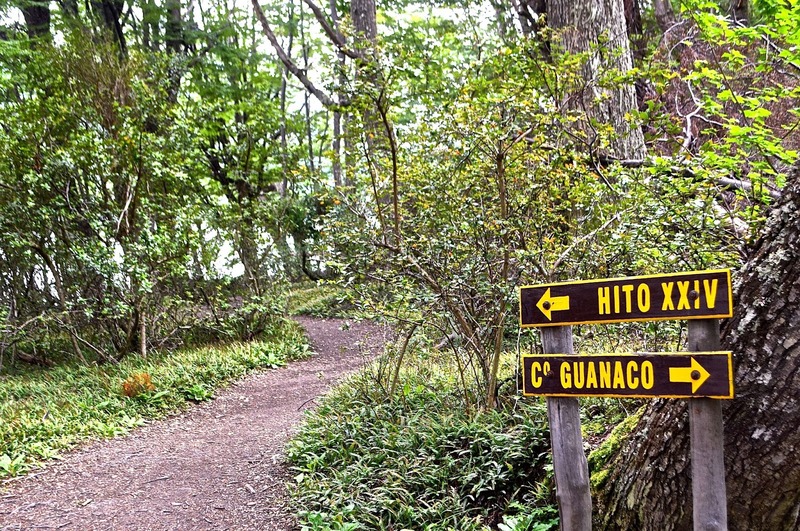 For what it's worth, there are no guanacos on this part of the island. When I first saw Acigami, lenticular clouds hovered above it. 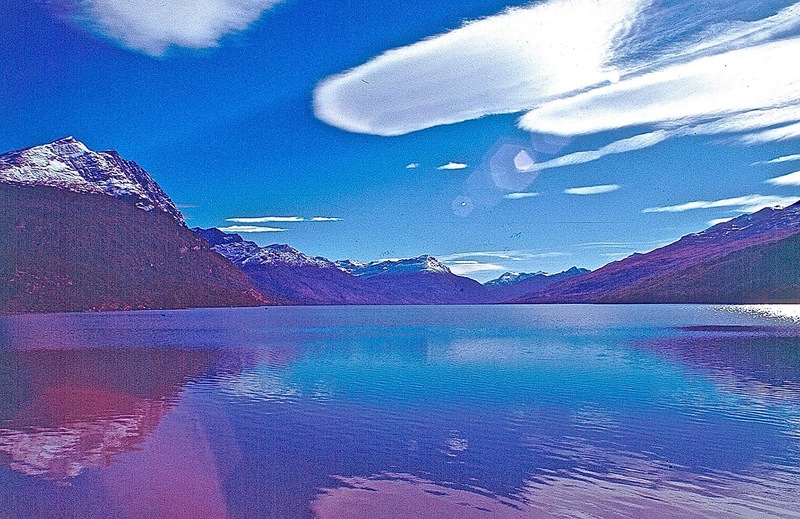 When I first saw Acigami, in early 1979, spectacular lenticular clouds hovered above it and, even though the scan of my old slide may be imperfect, it still brings back fond memories. 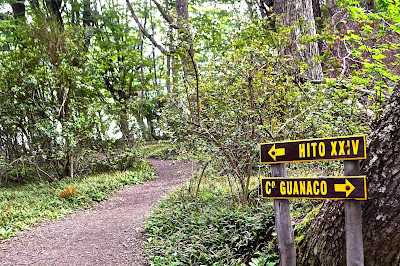 Later, I hiked the undulating trail along the lake’s north shore to Hito XXIV, a marker that indicates the border between Argentina and Chile (on the Chilean side, its name is Lago Errázuriz). In fact, I have crossed the border there—technically illegally, even if the chances of being apprehended in an utterly unpopulated area are slim (it’s worth mentioning that a Chilean friend, exploring the other side of the border, got lost here, eventually needing help from Ushuaia’s Chilean consulate to return to his own country). This time, though, my wife and I took the fork that leads along the Arroyo Guanaco and then steeply—very steeply at times—to the summit of the peak. 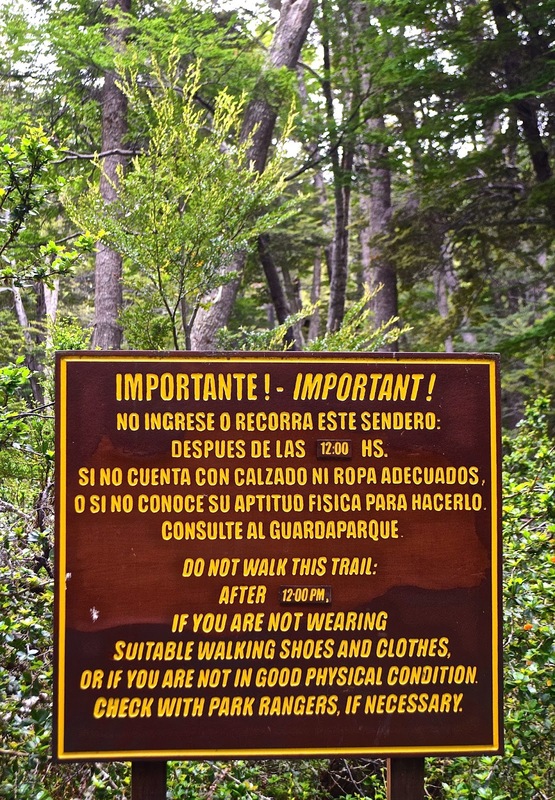 Signs at the trail’s starting point inform hikers that it’s difficult and requires good footwear and clothing, but we found ourselves removing layers in this notoriously capricious climate. Part of it goes through turbales (peatlands) that can get soggy, but there was little evidence of any recent rain—if anything, the rocks and soil along the route were mostly slippery dry. Another hazard was the density of tree roots from the southern beeches that lined the trail—it would be easy to trip over them. We got an early start, around 10 a.m., but before long we found ourselves being passed by younger hikers. 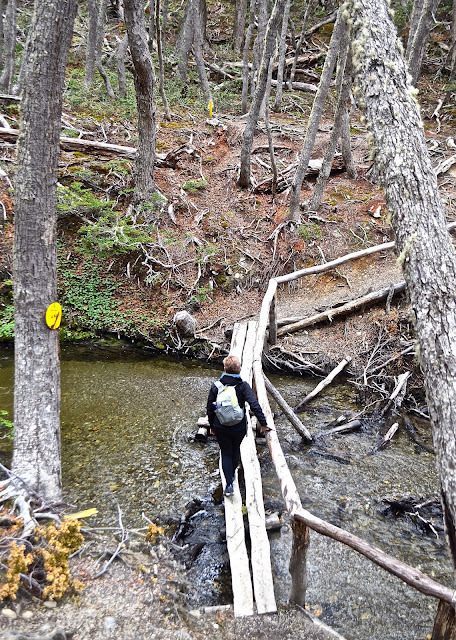 That doesn’t especially bother me, as hiking is not a race, but it was annoying that a couple of them found it necessary to share their musical preferences on a quiet backwoods trail. Fortunately, they were fairly quickly out of sight (and audio range), and the rest of the hikers who passed us were polite and quiet. It’s worth adding that the few signs and trail markers are unclear about the distance and elevation, so we weren’t quite sure what distance was left to the summit. Still, after two hours or so, we came upon a mirador (panoramic point) that gave us views of the lake and surrounding summits, and the end-of-the-road at Bahía Lapataia. 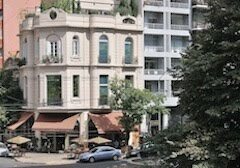 It’s there, 3079 km from Buenos Aires’s Plaza de Mayo, that coastal Ruta 3 reaches its terminus. After a breather at the panoramic point, with our legs and lungs resting from the effort, we decided not to continue to the summit (according to my phone, we had walked only two miles [about 3.2 km] to an elevation of about 1,350 feet [some 410 meters]). 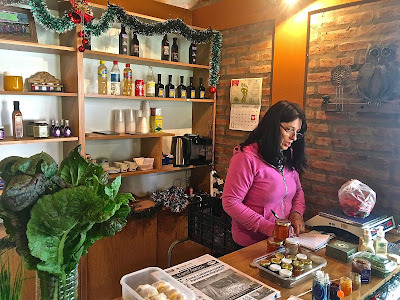 That left quite a climb to the top, and we had hoped to visit Estancia Harberton that afternoon but, after a quick lunch at the park’s Alakush visitor center, we decided it was logistically impractical, even with long daylight hours. Perhaps it was a rationalization, but my wife also wanted to visit other sights in the park, such as Lapataia and Bahía Redonda, and we also thought we’d take advantage of our rental car to see the mountains east of Ushuaia, beyond the Harberton turnoff as far as Paso Garibaldi, with its views of Lago Escondido. 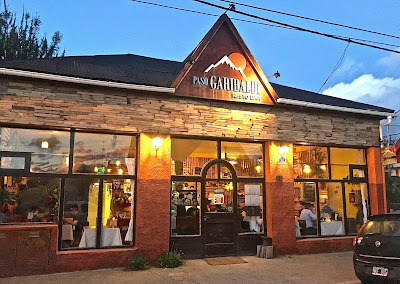 We eventually returned to our accommodations around 8:30 p.m., in time for dinner at a fine new restaurant—appropriately named Paso Garibaldi! 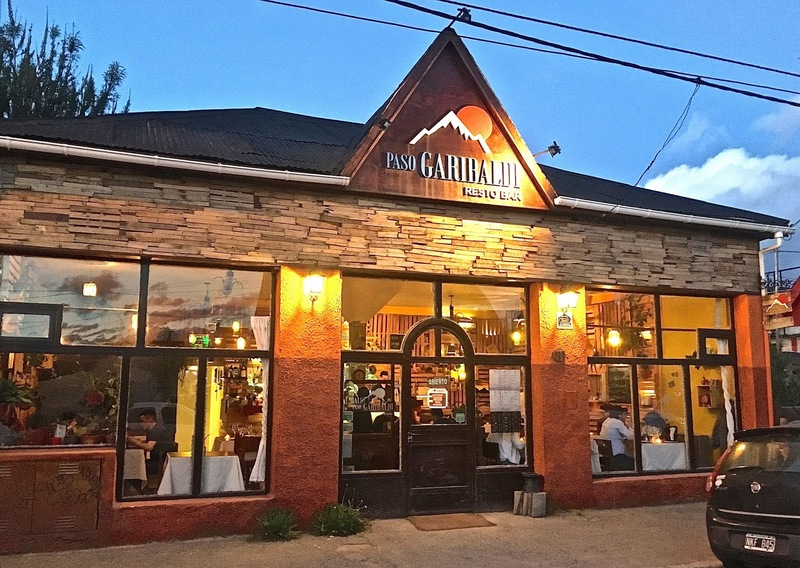 New in Ushuaia, Paso Garibaldi is an excellent dinner choice. 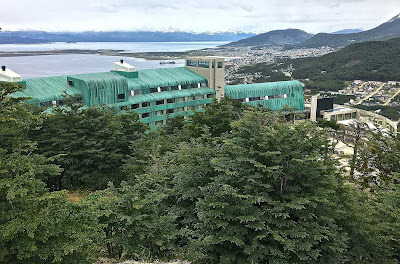 Two years earlier, on my previous visit to Tierra del Fuego, I had attempted to visit Arakur Ushuaia, a mountainside spa-hotel with panoramic views of the Beagle Channel and the nearby Cordillera Vinciguerra (part of which lies within the national park. At that time, though, I drove into a whiteout snowstorm about halfway up, and that obliged me to return to sea level. With an early departure the next day, I was unable to see the hotel, but this time we had a free morning that allowed us to take their hourly waterfront shuttle to the top. 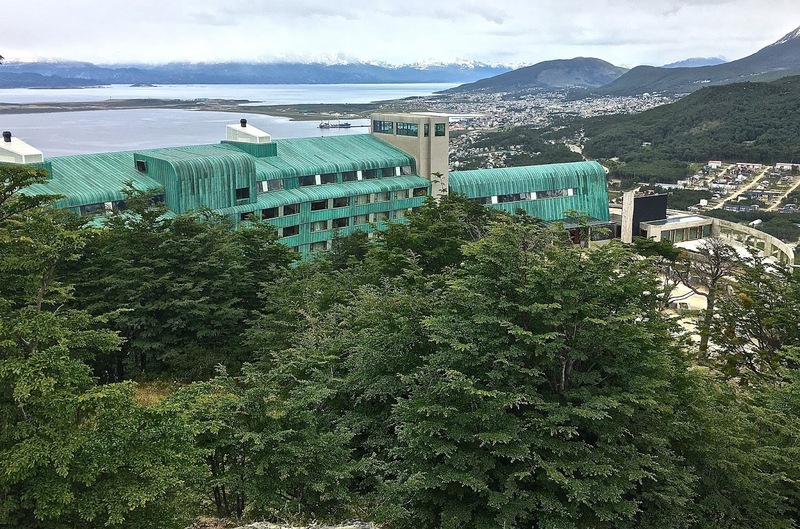 From its promontory, the Arakur Ushuaia offers expansive views of the city, the Beagle Channel, and other sights. Though we didn’t stay at the Arakur, we did enjoy a hike through their own hillside Reserva Natural Cerro Alarkén, which offers more than 100 hectares of southern beech forests, peatlands and wildflower literally just outside the hotel’s doors. Later, we sat down to lunch at La Cravia, the main restaurant at a 131-room hotel that houses substantial numbers of cruise ship passengers (Ushuaia’s a key airport for round-the-Horn cruise changeovers and for Antarctica-bound vessels). On this afternoon, though, the cruisers hadn’t yet arrived, and even the spa had only a handful of patrons in its indoor/outdoor pools. 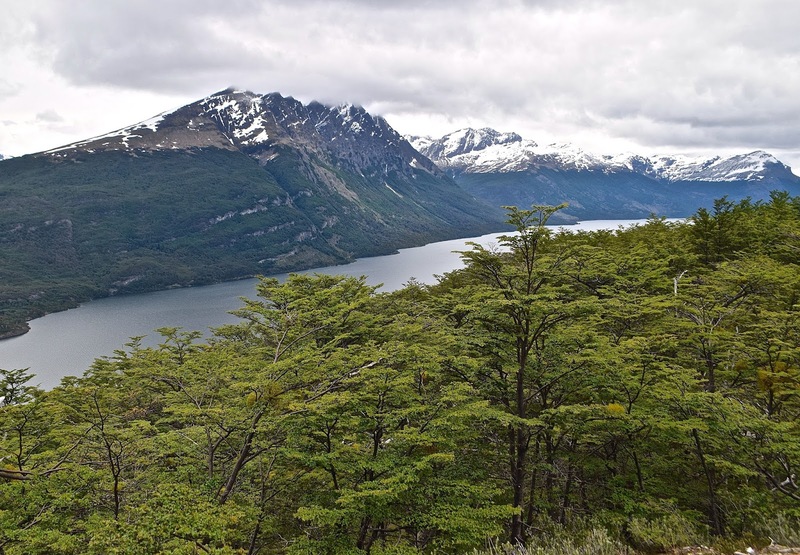 From the Cerro Alarkén reserve, there are both ocean and mountain views.